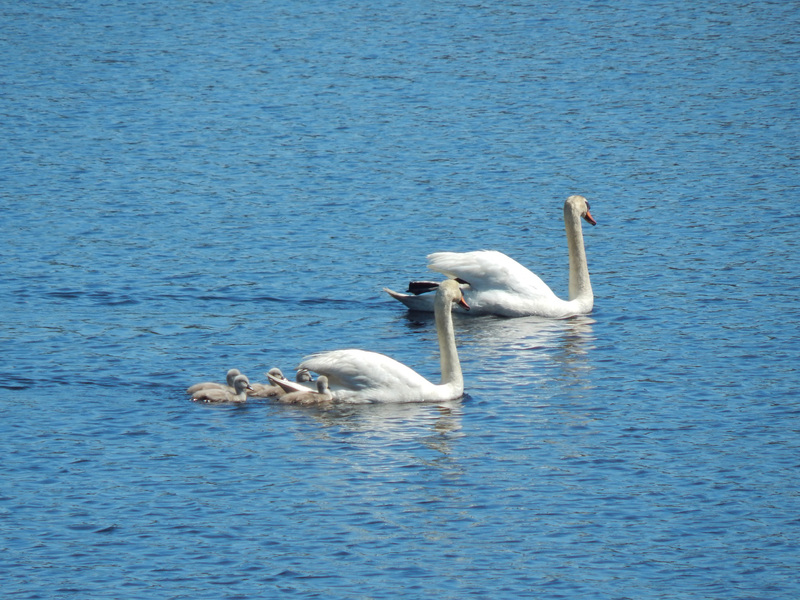 A mother swan nests with her cygnets Tuesday, May 3 on Wampatuck Pond near the Hanson Town Hall behind the Jack Conway Real Estate office. There appeared to be four or five babies. The business has been documenting the nesting process on its Facebook page as a community resource, and held a contest to name the parents — Gloria Swanson and Larry Bird were the winning entries.